For more than 15 years, Larry Carter served as circulation manager for City Weekly, where he was the point person for distributing City Weekly as well as Devour Utah and other magazines along the Wasatch Front. To thank his hardworking drivers, Carter began hosting a summer barbecue that became so popular, he continues hosting his annual bash even though he now works for the Salt Lake County Library. 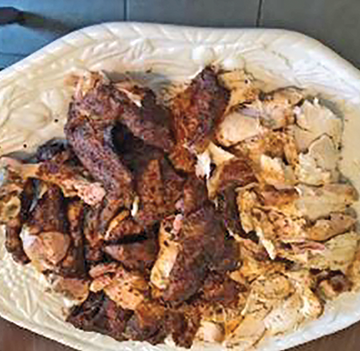 While his barbecued ribs are legendary (“I’m a griller, not a smoker,” he notes), his beer-can chicken is a family favorite. 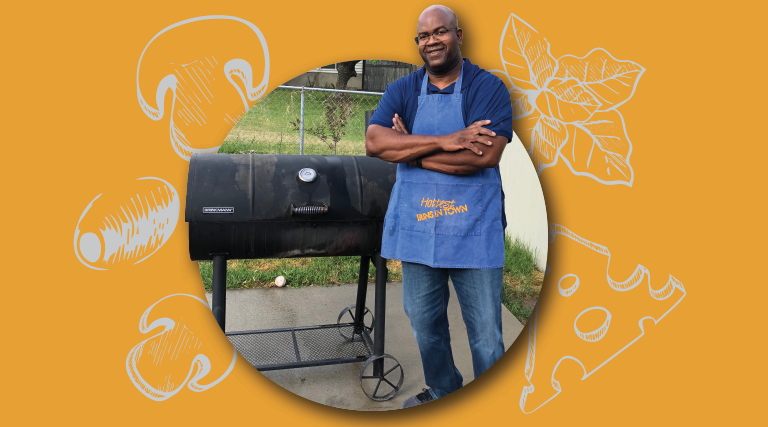 Carter got his love of barbecue from his father and a neighbor, both Houston natives who grilled exclusively with charcoal. Carter read up on charcoal and now uses Stubb’s All Natural charcoal (available at Lowe’s) as a healthier alternative. “For extra added flavor, I will throw on a small piece of hickory to the hot briquettes,” he says, but he’s been known to also use mesquite and even pecan. Arrange the briquets in a pyramid. Open all grill vents and leave grill uncovered. If using lighter fluid, follow instructions. When briquets are ashed over (in approximately 10 minutes), spread briquets evenly, then wait five minutes until the coals are ready to cook over. 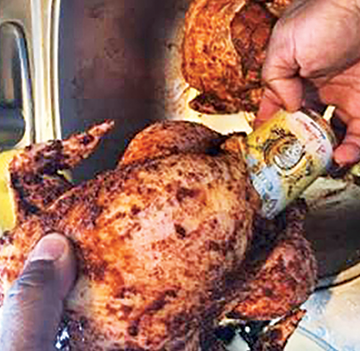 Place the seasoned bird over a half-full 12-ounce can of cheap beer—Miller or Bud works fine. (Note: A 16-ounce can is too tall.) Slide it into the bird’s cavity and pull the legs forward to balance the upright bird. 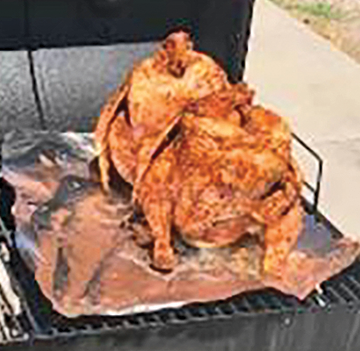 Place some aluminum foil (shiny side down) over the grill’s rack then set the bird on the foil. Close the lid over the chicken and let it slowly roast for two hours. At that time, check the temperature of the bird and make sure the dark meat is at 168 degrees Fahrenheit before removing from the heat. Let bird cool for 10 minutes before removing from can and slicing meat into serving pieces.